Do you remember when a paper boy really was a boy on a bike, not a person in a pickup or SUV? In those days a kid also mowed his neighbor’s grass, sold homemade potholders door to door, and enticed passing cars with a hose and a sign reading: Wash and Wax – $1.00. People should have paid attention to these young tycoons. Today they run much of our commerce. According to Venture Capital firm, Cue Ball, 65% of all new businesses are started by men and women who previously launched childhood entrepreneurial ventures. Did the young CEO’s know they were learning about responsibility, integrity, discipline and customer service, as they pushed their mowers around the neighborhoods? Were innovation, creativity and product quality top of mind when they wove their colorful potholders? Did they realize they were actually learning valuable lessons that would shape their lives? Many experts today profess to have proof of an “entrepreneurial gene,” convinced that newborn babies are hard-wired to start and run businesses. Maybe so. 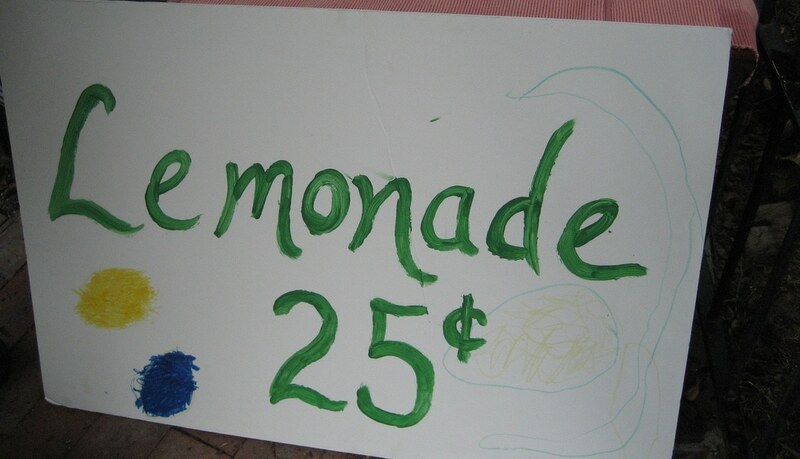 But I also suspect that a tiny seed is planted whenever a kid sets up a lemonade stand. Whether successful or not, that kid’s seed grows from the experience. Isn’t it just as likely that the so-called “entrepreneurial gene” is more environmental than it is random selection?